I have always believed that I don’t deserve awards.Do not ask me from where I got this idea,it’s because I myself do not know.Maybe I have failed a lot of times even though I’ve tried a lot of things.I am failing right now. But here is the great part,I now have been nominated for various blog awards from various wonderful bloggers in these 11 months of blogging.It is actually great to know that people actually like your stuff. 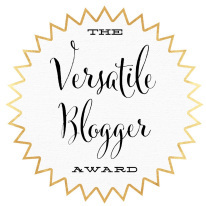 This time Miss Nishita has nominated me for two blog awards and they are called- Versatile Blogger Award and The Real Neat Blog Award . I think both the awards suit me very well.Thank you Nishita.I am now gonna proceed with the rules and complete this post. I was nominated by walkingtomydreams13.wordpress.com for both blog awards.Visit the blog by clicking here. Post 7 interesting facts about yourself by answering the questions from the person who nominated you, then ask 7 questions of your own to be answered by your nominees. Nominate 15 bloggers, include links to their blogs. Notify your recipients about the VBA nomination. Insert the award logo onto your post. Answer the seven questions they asked you. 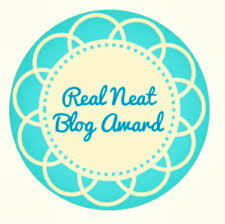 Nominate other bloggers and ask them seven questions and let them know you’ve nominated them. -Dream job?I don’t have one.Strange? 2. What is the most difficult thing in your life? -Life has it’s ups and downs.Have had several problems and had some amazing times but pointing out something that was most difficult is hard for me.Life is hard but I’ll make my way.Hey,I’m just trying to be positive. 3. Who would you be if you’d get a chance to be? -I’d be myself.I think I’ll be able to do something good/great one day and make a difference.I am trying. 4. If you were allowed, what one change you’d like to bring? 5. You have as much money as you want, next what? – Help others maybe?I don’t know but I really need that dslr. 6. What does love mean to you? – It is what makes me write poetry.As I wrote in one of my posts earlier – I don’t know what love is but it’s something good.It means a lot. – Extrovert,I can’t live without being social and going out. Talking about the nominations?This is the hardest part for me,honestly this is one thing I can’t do.I am going to skip it,pardon me. Thank you for the title,though I know little of it.